The beautiful city of Nashik in Maharashtra is blessed with hundreds of tourist attractions, and hence it has gained immense popularity amongst travellers over a period of time. As it also houses most of the wineries of the country, it is referred to as the wine capital of India. The major places to visit here include hills, waterfalls and forts. So, how about planning a tour of Nashik this weekend and exploring one of its least-explored forts? If you love exploring the history of a place, then Bhaskargad Fort on the outskirts of Nashik must be your stoppage this season. It is one place where you can enjoy nature as well as explore history. 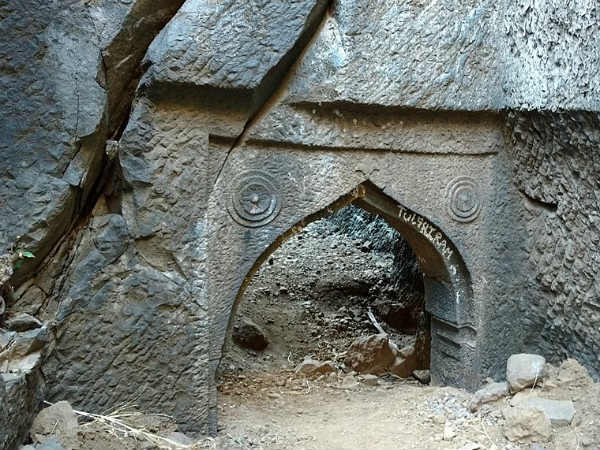 Read on to know more about Bhaskargad Fort, its history and surroundings and how to reach it. Bhaskargad Fort, also known as Basgad Fort, is located in the lush greenery of the Trimbak Hill Range at a distance of about 48 km from the centre of Nashik. Therefore, it is easily accessible and is visited by hundreds of local tourists every year. Being a hill fort, it provides its visitors with trekking trails and camping sites. Hence, over a period of time, it has also gained popularity amongst offbeat trekkers and campers. As per historical records, Bhaskargad Fort is said to have been established in the 12th century during the reign of the Yadava kings. However, later on, it was ruled by several other dynasties including the Marathas, the Mughals and the Bahmani Sultanate. It was also under the rule of the Peshwas and other local tribes for a short period. Today, the fort is lying in ruins and has become a weekend stoppage for trekkers. The top of the fort can be reached by a flight of rock-cut steps. The major reason Bhaskargad fort is a must-visit destination for travellers and tourists lies in its natural surroundings, historical significance, and beautiful trekking trails. As it is only popular amongst locals, it makes for an ideal weekend getaway away from the disturbance of the tourist crowd in the midst of a tranquil environment. Apart from enjoying the lush green surroundings and exploring the rich history of the fort, you can indulge in photography and camping here. The fort complex also houses an ancient Hanuman Temple named Veer Maruti, which is a major attraction. Being located in the vicinity of Nashik, it is easily accessible by road. The nearest airport and the railhead is located in Nashik itself. Once you have reached Nashik, you can either hire a direct cab or use the public transport to reach the base of the fort. The base village of the fort is Dahalepada from where you need to trek up the hill to reach the top of the fort. The route is safe and easy, and hence you can conveniently reach it. It takes an average time of 1 h to reach Dahalepada from Nashik. Bhaskargad Fort is a year-round destination for trekkers. However, it is not a preferred destination during the summer season as it is the period when the temperature rises above the mean level. Therefore, the appropriate time when you can savour the best of Bhaskargad Fort is from October until the end of March. You can also visit it during the monsoon season. However, you need to be very careful as the route becomes slippery and risky.